Launching off this program in a city like Tokyo was an incredibly overwhelming experience. However, I say this with no negative connotation. I’m not sure there could have been a more superior place to begin our attempt in understanding the notion of “the city.” Every day I find myself amongst the hustle and bustle of the Japanese daily routine, encountering new understandings of what it is like to live in such a city as Tokyo. After being submerged in Tokyo for a week, the people and the city have given off the impression of being a machine: an assemblage of parts that transmit forces, motion, and energy one to another in a predetermined manner. From the businessmen walking to the subway in almost identical outfits and briefcases, to the loss of self while perfunctorily playing the game of pachinko, the city revolves around this metaphor of a machine. It was also even seen when going to a Japanese baseball game. Every cheer was choreographed so that the entire stadium was in sync throughout the whole game. This machine-like mentality could arguably come from the rapid advancements of Tokyo itself. It is a city that seems to be constantly regenerating at an insanely fast momentum. With this morphological shift occurring in Tokyo, it seems that it would be somewhat detrimental to one’s cultural heritage. With a city constantly transforming in ways that could hinder the memory a culture (mostly in the ways of technological advances), it is remarkable that the Japanese never seem to lose their sense of culture and tradition – their roots. In places like New York, Los Angeles, and San Francisco, getting completely back in gear with one’s roots seems almost nonexistent, due to the continuous growth and advancement of the city. Sure, there are the people in these cities in the states that seem to maintain their identity, no matter what the city does, but as the city becomes increasingly innovative, it seems to become almost natural for one to lose touch with his or her heritage for most people in the aforementioned cities. Culture is often something that disintegrates over time, whether it happens due to technology, getting lost among younger generations, or simply abandoned altogether. However in Tokyo, this is not at all the case. 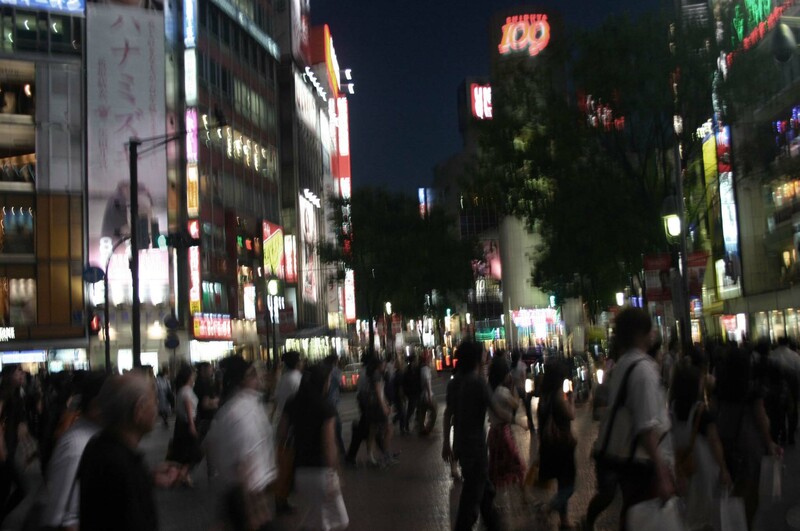 In Tokyo, the citizens seem to have an intriguing disconnect from the city culturally, but not necessarily socially. The city seems to have an opposing force that is acting upon the cultural aspect of Tokyo. On the one hand, most citizens are devoted to their culture, but on the other hand, there is this mechanical metropolis hovering over them…something that was never there when all the customs were established. This brings up the question: do a city’s people adapt to the city they have settled in, or does a city adapt to the people that venture in? In the case of Tokyo, I would argue that the people have adapted to the mechanics of the city, but the latter seems to be the most common in the large cities mentioned above such as San Francisco and Los Angeles. This just continues to show how strong of a relationship the Japanese population has with their heritage and customs. The residents of Tokyo are living in a city that is literally building up around them, becoming mechanical and progressive. However, the Japanese are still out rebuilding Ise Shrine every 20 years to continue a tradition and culture that will never be forgotten, no matter it be 2010 or 3010.